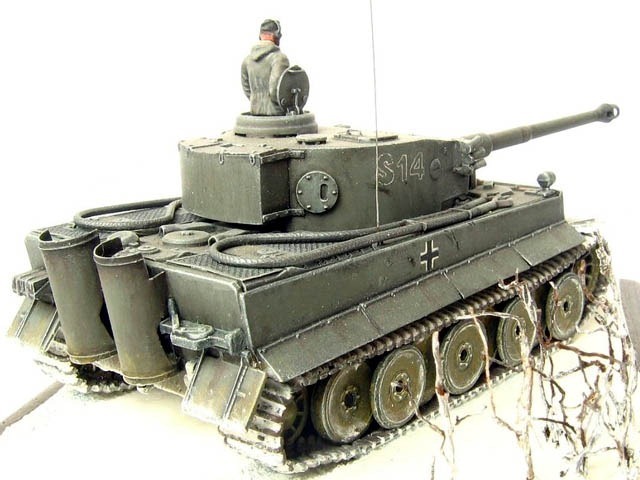 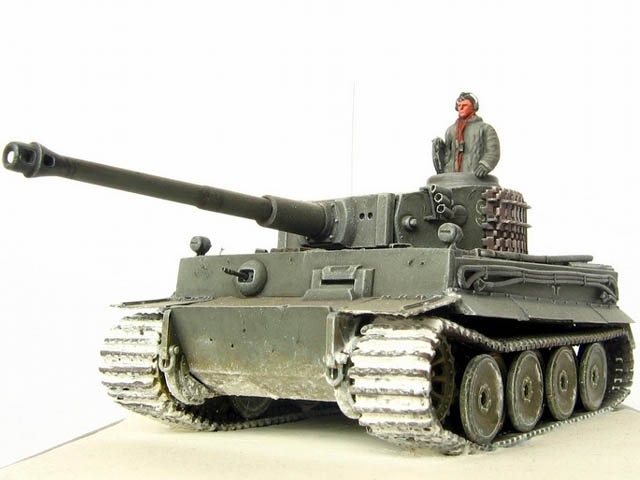 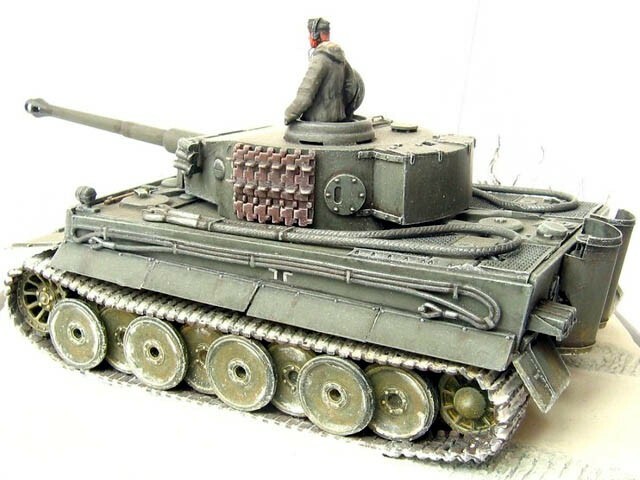 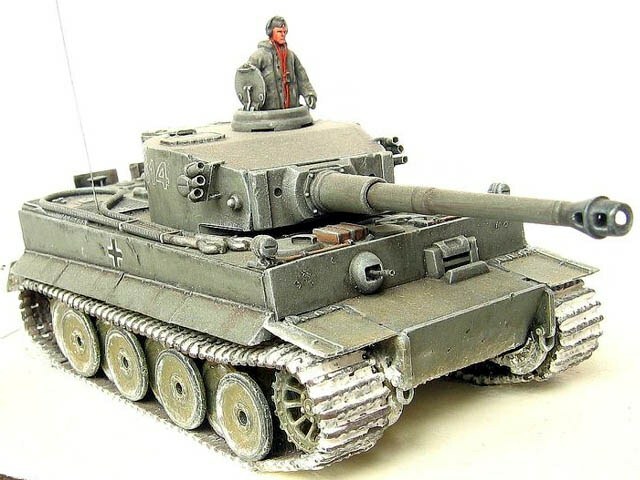 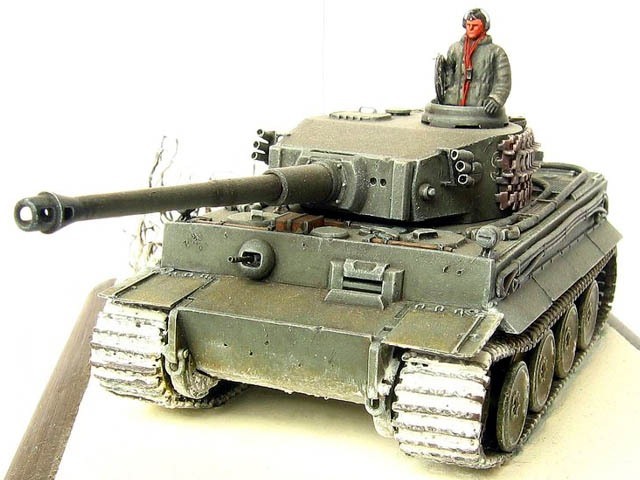 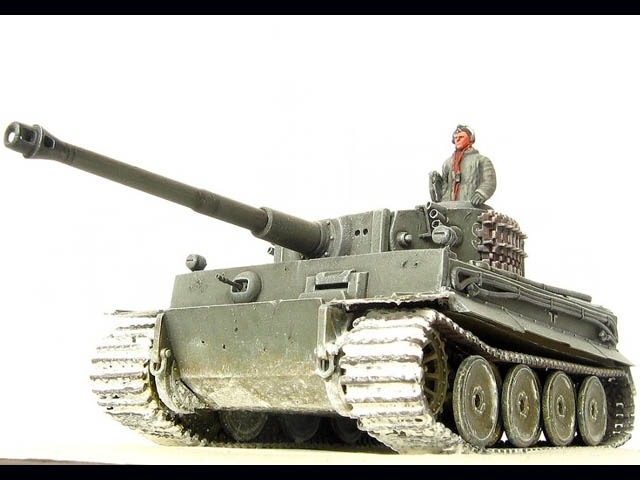 This model represents one of GrossDeutschland division heavy tanks during battle of Kharkov if February/March 1943. 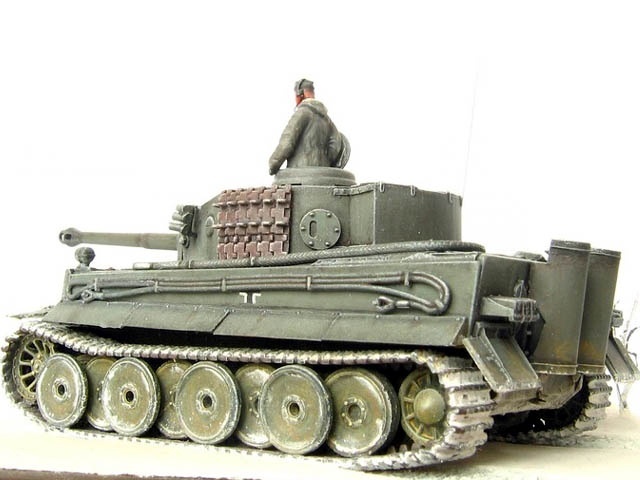 It's built almost straight from the box with minor improvements (front mudguards, exhaust box holders, tools box etc). 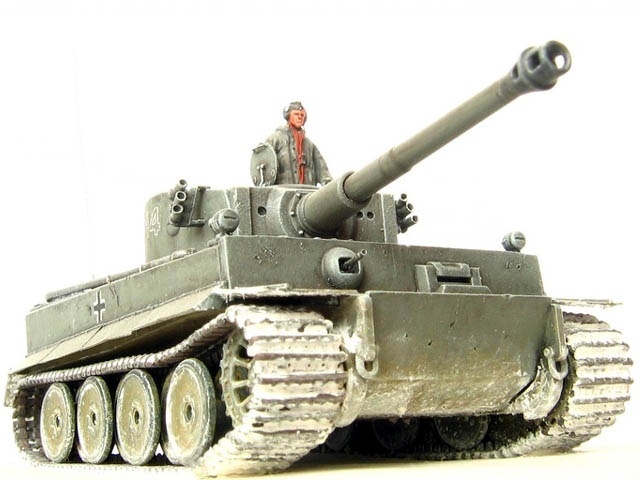 The tanker figure is conversion of one of Preiser figures.